First of all, I have to admit that both of these are not so much "my own". 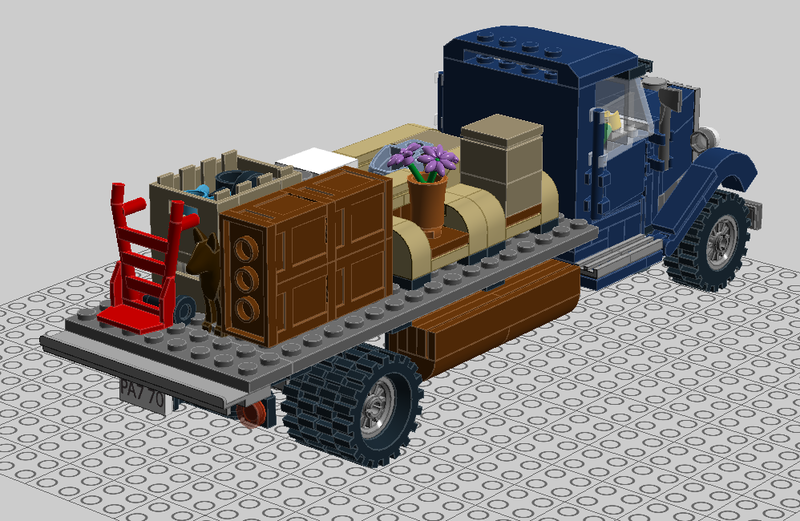 The cargo truck was reverse engineered from someone's MOC that I once saw at classic-town.net, but couldn't find ever since. 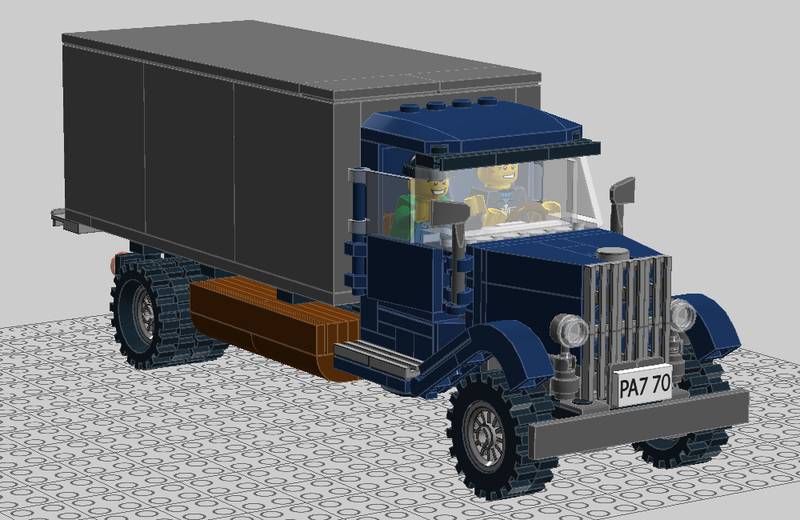 The dump truck (its hopper to be exact) is almost identical to the hopper Zed designed for his unbelievable KRAZ, definitely check that one out. So here you go, two trucks, one dog and a washing machine. For those interested, the .lxf files are attached. I like the washing machine! 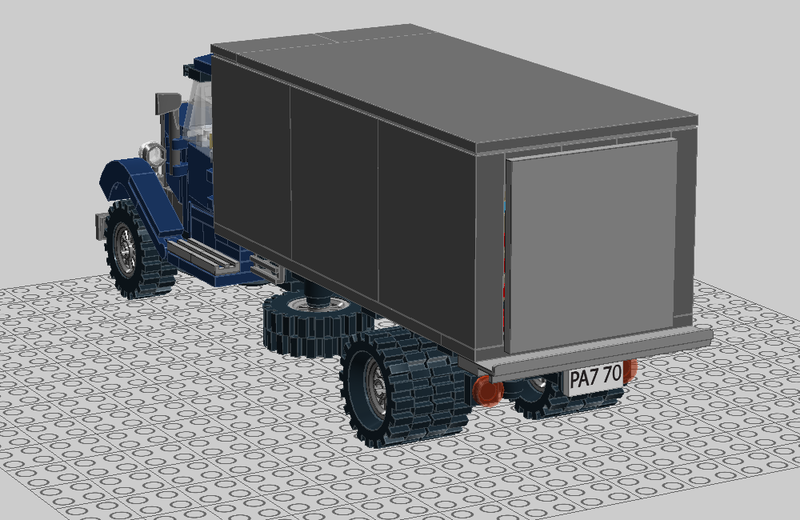 My favorite is the storage truck, as I like the front tire position! Brick On! 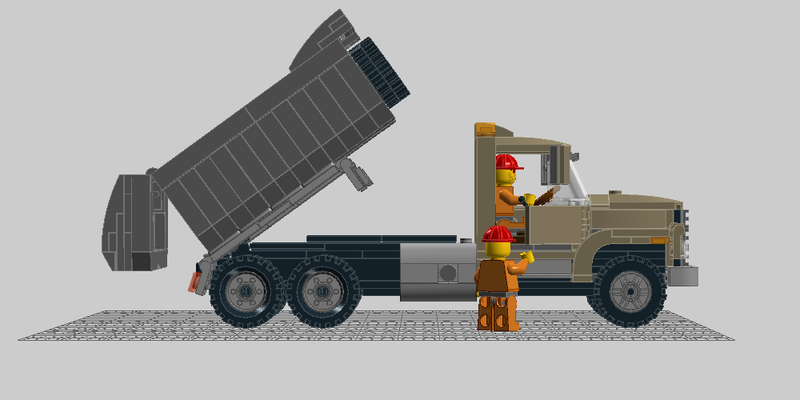 Excellent digital designed trucks......especially the dump truck - very realistic indeed......Brick On LDD On 'imvanya' ! Amazing. Both the trucks and washing machine. You did really great job on those. Awesome trucks Imvanya. 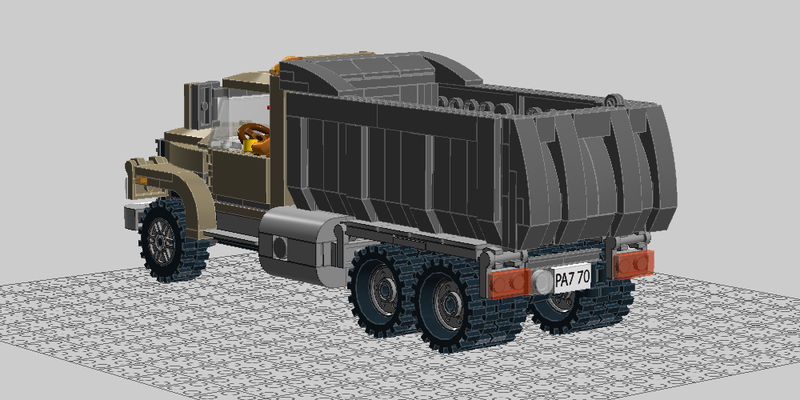 I think you've made some significant improvements over Kraz's original dump truck with the use of new curved slope parts and better looking lights. However, the wheel base looks a little long to me. Easily reduced though. Great work. Nice trucks! 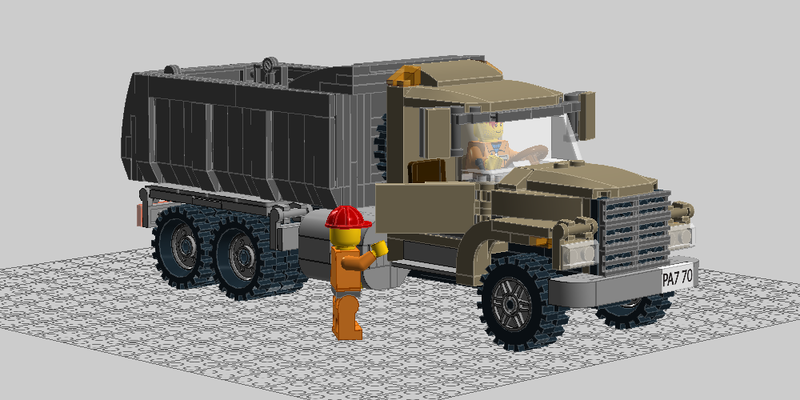 I really like the usage of element 3835: Mini Fireman's Axe on the Cargo Truck. However, the wheel base looks a little long to me. Easily reduced though. Great work. 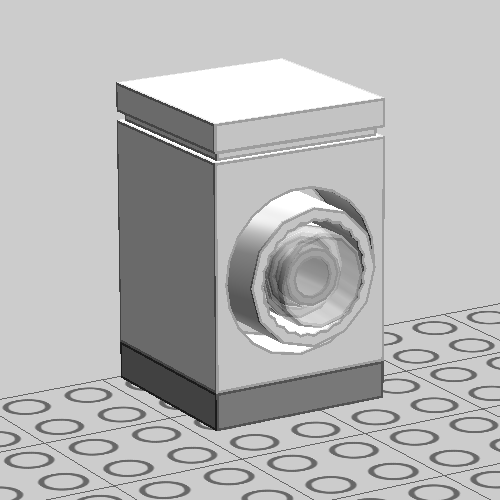 I actually did shorten the wheel base and it does look much better. Thanks for the suggestion, 'Missing Brick'! The trucks look very nice, also the color scheme fits with the time these trucks were seen on the street! I really like the doors on the first one with the window. How do you outline the bricks? 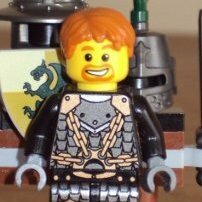 I know there is an option on the LDD preferences, but I can't tick it. Really liking the designs for these trucks. Good work!